Well, in the case of orange, quite a lot it would seem: Orange can be bright, orange can be in your face, orange can save your life. Orange can be muted, burnt, natural, earthy. Orange always warms you no matter what tone it takes. When I was just a lad my favourite colour was orange. Once I overdyed my favourite denim jacket . . orange. The very first surfboard I shaped was orange. 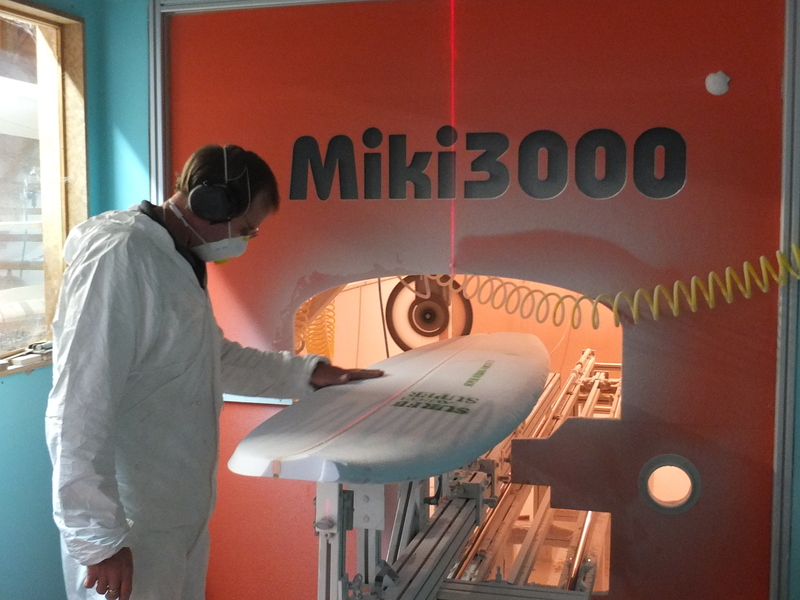 When I realised that surfboard making was for me I ventured into a paint shop to buy a range of colours with which to tint my boards, after hardly any time at all I emerged with a giant vat of orange . . .just orange, the other colours stayed on the shelf. I made lots of boards that were resin tinted orange. When spray cans first came out I brought mostly orange. When the nozzles blocked I used a thin brazing rod of my Fathers to unblock the flow, my face and long blonde hair soon became orange. I ran home blinded by orange . . One time I used an axe to unblock a can, a large cloud of atomised paint mushroomed skywards, the gentle offshore breeze swept the cloud across the yard where it stopped and dropped it’s contents. My Mates Dad had just painted his boat a fresh blue and white, before our eyes it became a speckled orange. When I started shaping boards my Dad was my biggest supporter and influence, my Dads nickname was Ginger, his hair was orange. Later in life when I had a custom shaping machine made I had it painted orange in his honour. I still have a soft spot for orange and lately we have been asked to make surfboards of many shapes and sizes: orange. 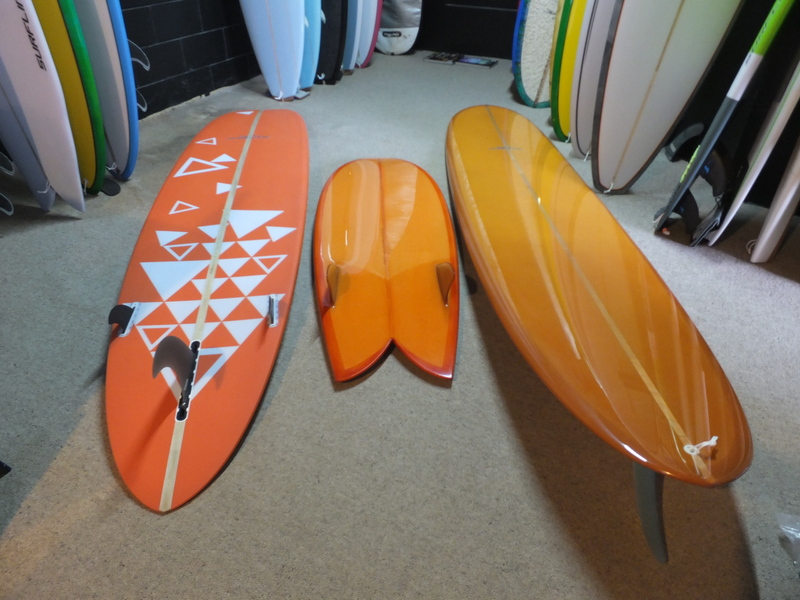 So if you having trouble making up your mind which colour to have your new custom board, do consider orange!